Will RIM's gamble pay off? In an attempt to deliver quality applications for its BlackBerry mobile platform, Research in Motion is offering a revenue guarantee to its developers. RIM is promising every qualifying application, submitted to App World before BB10 launches, $10,000 (around £6,100) in revenue in its first year on the market. Talking about application investment at BlackBerry World 2012, Alec Saunders, Vice President of Developer Relations for RIM said: "We strongly believe that quality matters, not just quantity, so today I am happy to announce we are making a massive investment in quality, subject to some terms and conditions." Developers need to earn the BlackBerry Quality Certification and have previously generated at least $1,000 (around £600) under their own steam in the App World to qualify for the revenue guarantee. If a qualifying app does not reach $10,000 of revenue in its first year, RIM will write the developer a cheque for the difference. 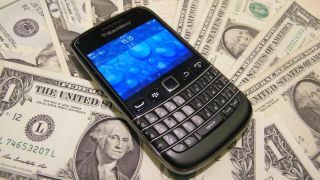 In a further commitment to its developers and the BlackBerry ecosystem, Saunders also announced that RIM is set to invest $100 million (around £61 million) into the system over the coming year.